Gilia angelensis is often called Angels Gilia or Chaparral Gilia. 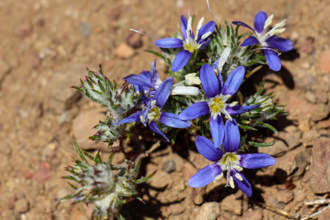 This tiny flowering plant in the phlox family is always a delight to come across because it is so small that most people will not not see it unless they are actively seeking it. 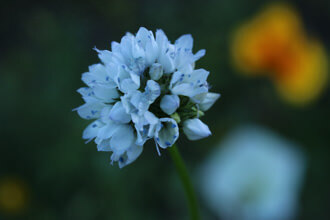 The one centimeter or so flower of Angels Gilia ranges in color from white to blue to lavender. 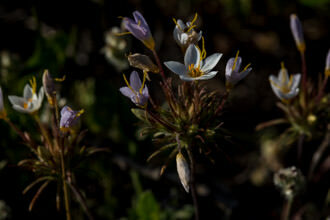 This plant can be found in many areas of California - particularly the Santa Monica Mountains. I have found it in Upper Solstice Canyon, Upper Sycamore (Pt. Mugu State Park) and Triunfo Creek. Angels Gilia typically grows as a slender, branching plant reaching anywhere from 10 to 70 centimeters in height. 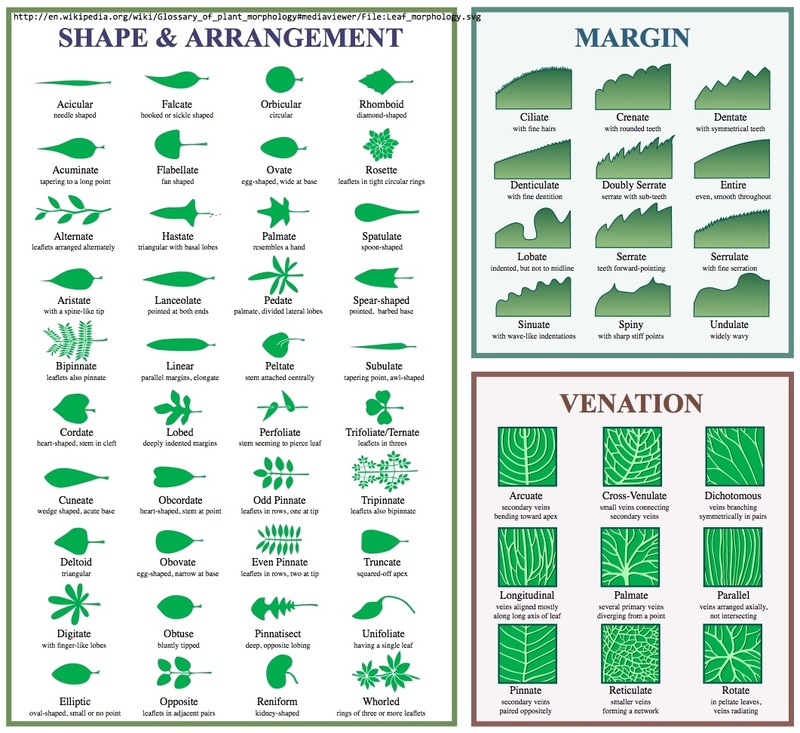 The leaves consist of a basal rosette (clustered near the ground) and some thread-like leaves towards the flowering part of the plant. The flowering part of this plant are branches with clusters of delicate flowers. The flower contains a capsule a few millimeters across containing up to 30 tiny seeds. Angels Gilia is an Annual herb (a forb/herb is a non-woody plant that is not a grass). The 1/4" flowers have five petals fused into a tube, opening with five white or pale lavender petal lobes. Five Stamens protrude above flower throat but below petals, with blue pollen. 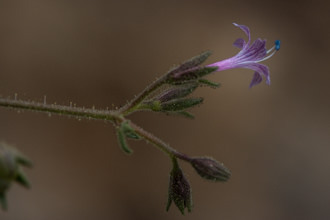 These plants can be very hard to tell apart and are similar to some subspecies of Gilia californica - this one is considered rare in the Santa Monica Mountains. 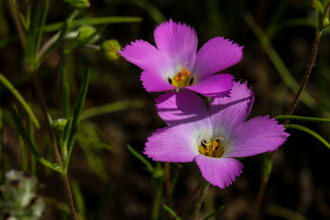 The key difference is that Angels Gilia has a yellow throat, shorter stems where the flowers attach to the plant. 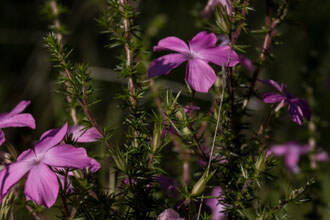 Those in the know count the number of flowers per head, how far the stamens project and the throat color of the flower. All of this requires a magnifying glass and some keen observations. Having said all of that, if I have made a mistake identifying these flowers please let me know! The first time I saw this was after I got home from photographing some other flowers. When I looked at the photos full screen on my computer, I saw these delicate and gorgeous flowers staring me in the face like an extra in a Play - invisible unless you are looking for them. Finding this flower is quite the reward for your efforts- you can improve your odds by looking for them after 9AM. Bring along a hand lens to see how the tiny parts of this flower combine to make this species unique. Name Origin: The genus refers to Filippo Luigi Gilli (1756-1821) who collaborated on a botanical work with the Spaniard Caspar Xuarez. Angelensis, of Los Angeles (County). Last modified: April 04 2017 15:49:36.